This is a little utility rack I'm starting to go along with my DFAM and 0-coast semi-modulars. Adding some attenuation and signal multiplication (mostly for clock) and some fun and musical delay. 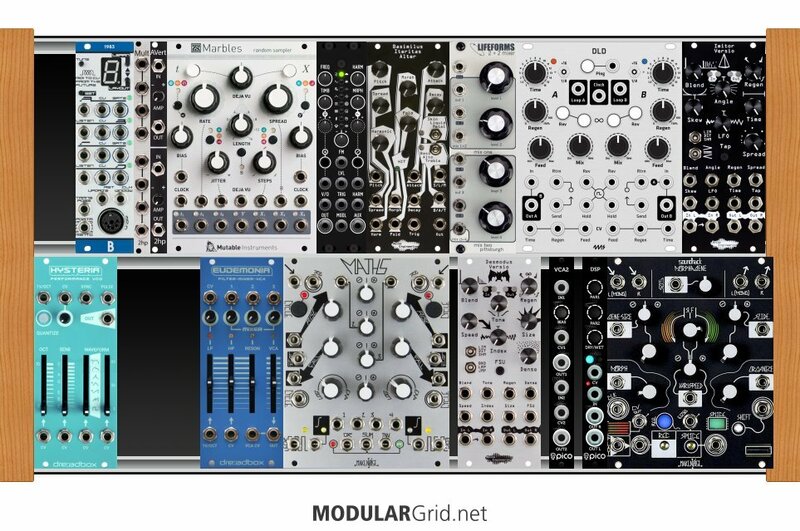 Better still, drop the mults (use inline ones instead...the build's too small to afford space for modules) and look into some clock modulation and logic modules. This way, you can actually manipulate the behavior of clocking in a lot of ways rather than just redistributing the same pulsetrain. Consider a skipper such as Ladik's S-090 and/or some sort of algorithmic/probabilistic trigger sequencer like Iron Ether Pithoprakta, as well.